William A. Yasnoff, MD, PhD, founded HRBA in 2006, was its previous President and CEO, and is now the Chair of its Advisory Board. Dr. Yasnoff, a well-known national leader in health informatics, heads a consulting firm that helps communities and organizations successfully develop health information infrastructure systems and solutions, and universities to organize and grow academic informatics programs. Previously, as Senior Advisor, National Health Information Infrastructure (NHII), at the U.S Department of Health and Human Services, he initiated and organized activities leading to the President's creation of the Office of the National Coordinator for Health Information Technology, establishing the NHII as a widely-recognized national goal. Earlier, he implemented the nation's first successful statewide immunization registry (in Oregon), then spent five years at CDC as a pioneer in the field of public health informatics, organizing the first national consensus agenda-setting conference in 2001 and co-editing the textbook Public Health Informatics and Information Systems. 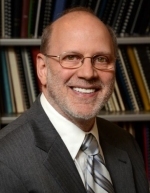 He is an Associate Editor of the Journal of Biomedical Informatics, and Professor of Informatics at Minnesota, Johns Hopkins, Louisville, and Illinois (Chicago). He was a Board Member of the American Medical Informatics Association in 2003-4, and has authored over 300 publications and presentations, including the "Health Information Infrastructure and Public Health Informatics" chapter in the 3rd Edition of the widely-used textbook Biomedical Informatics: Computer Applications in Healthcare and Medicine, and Personal Health Records: The Essential Missing Element in 21st Century Healthcare. Dr. Yasnoff earned his Ph.D. in computer science and M.D. from Northwestern, received an honorary doctorate in public health from the University of Louisville in 2006, and was elected a Fellow of the American College of Medical Informatics in 1989.